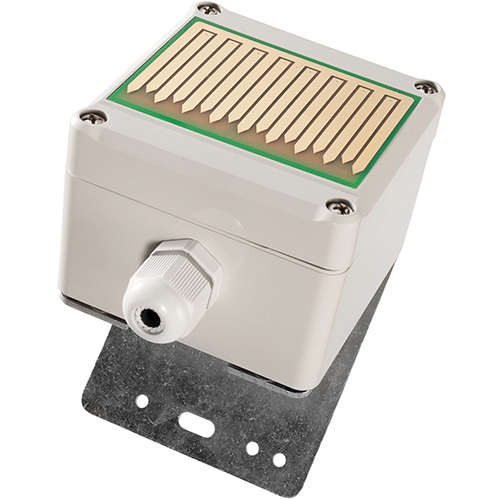 The B+B rain sensor reacts to both rain and snowfall. It is used for controlling terminal devices in building automation, for protecting marquees against humidity and enabling the automatic closing of windows. The sensor surface reacts to rain or snow. The switching polarity and sensitivity are adjustable. To guarantee the function of the rain sensor even at temperatures below freezing it is equipped with an automatic heating system. The intelligent heater prevents frosting or dew formation and accelerates drying. In the most sensitive adjustment the device even recognizes fog.